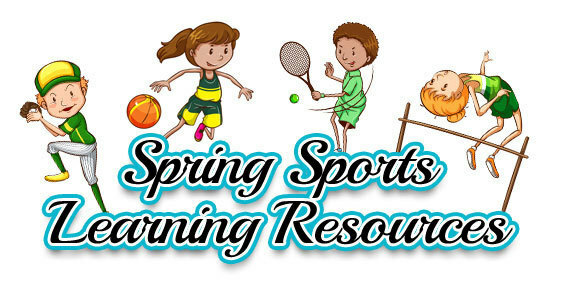 As students suit up to play spring sports, use these timely and sporty learning resources that span subjects and grade levels. Coast along with PBS KIDS character Bear and help her spell words using her skateboard. In this literacy lesson, Becky really wants to win the mini golf tournament, but is having trouble beating Eileen, the cheater. Watch as the Arizona Diamondback's assistant general manager Billy Ryan explains how he uses math in baseball. Dancer Katherine Kramer teaches the quick-quick slow pattern of salsa dance and relates it to the clave rhythm pattern in this video from the Dance Arts Toolkit series. Sport is one of the best ways to get to know a culture. In India and Pakistan, cricket is very popular. Share this world history lesson with your students and learn about cricket, the world's second most popular sport. Use a soccer field to show students how to graph solutions to inequalities by exploring the dimensions of a soccer field. To find more real-life lessons, visit Thinkport.org.